Partnership arrangements for families with disabled children vary across countries in Europe. 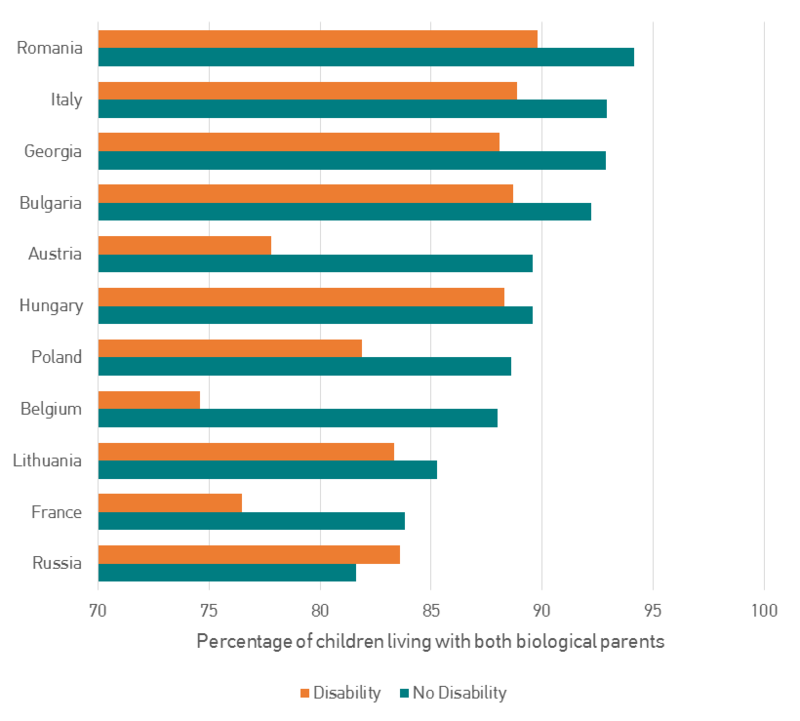 Analysis of GGP data reveals that disabled children in all countries are more likely to live in a one-parent household (on average 16% of them, as compared with 11% of non disabled children) – with the exception of Russia. Living apart together is also more common among women with disabled children. In addition, analysis of GGP data on partnership histories indicates that among the families with disabled children, almost 2% never had a partner. Among those currently without a partner (11% of the total group) almost all (91%) separated following the birth of the disabled child. Even among the families with both partners in the household, about 6% separated after the birth of the disabled child, which indicates a new union for the respondent. Data from the GGP is vital for understanding how disabilities affect family life and how these effects can be mitigated.